CHRISTUS Spohn’s commitment to delivering quality health care for families in Corpus Christi and the Coastal Bend is unparalleled. Texas Creative is proud to be associated with this dedicated group of caring professionals. 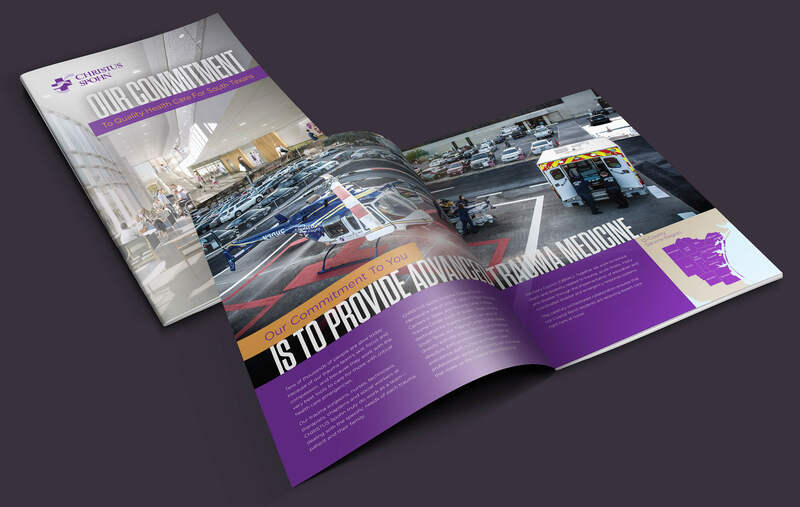 Their new “Report to the Community” is hot off the press and was a highly collaborative effort between CHRISTUS Spohn’s marketing group and the creative magicians at Texas Creative. It not only emphasizes the organization’s mission of healing but also introduces the community to exciting new facilities and technology. The result is a beautiful reflection of the fact we are both committed to excellence.